For this year's Challenge12 I'm going to be captaining The Guantlet Games! I love the Three Peaks challenges, but there is something great about throwing yourself around in mud! It's going to be a great challenge and I hope you can join it! Hi, I'm Piers. I'm team captain for this year's Gauntlet Games, in support of Link Community Development. I'm a wannabe spy who ended up working for the Government as the next best option. I've lived in London for a bit over two years now, but am originally from South Wales. I encountered Link shortly after coming to London. Their work and ethos provided inspiration at a difficult time personally, and gave me a platform for getting more involved in charity, for example as a member of their advisory board. 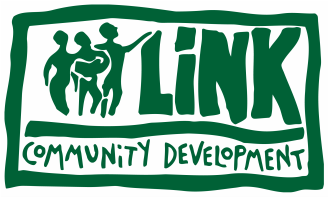 Link Community Development's aim is to help improve access to education for children across sub-Saharan Africa. The charity was established in 1992 and has affected 1.7 million children in over 3,000 schools. One of the things that distinguish Link is their approach to finding solutions to issues with education in developing communities. Instead of assuming a one-size-fits-all approach, Link focusses on finding sustainable solutions by tailoring each of their projects to the unique needs of the local community in which they work. Link also develops close partnership with Governments in the countries where they operate, sharing knowledge in order to influence education on a national as well as local scale.